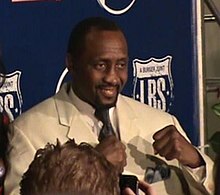 Thomas Hearns (born October 18, 1958, in Memphis, Tennessee) is an American 7-time world champion professional boxer. I don’t like Marvin. Never have and never will. I just want to tell you something. Get there early and sit tight. Don’t blink. You might miss the fight. Thomas Hearns on Marvin Hagler. This page was last edited on 17 November 2018, at 01:36.